Team Best Buddies is an endurance event program that enables athletes of all abilities to dedicate their training and participation in marathons, triathlons, cycling and other endurance events to the life-changing movement of inclusion for individuals with intellectual and development disabilities. Individuals that make the commitment to represent Best Buddies earn a spot in some of the most sought after marathon and endurance events in the country. 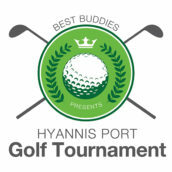 Your participation in the Best Buddies Open directly impacts our ability to provide much needed support to more than 6,500 participants throughout Massachusetts. 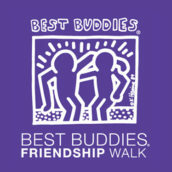 October 19, 2019 Bolton Fairgrounds Lancaster, MA Join us at the Best Buddies Friendship Walk, the number one walk in the country raising awareness and funds to support individuals with intellectual and developmental disabilities (IDD). October 5, 2019 Schrafft's Center Boston, MA Join us at the Best Buddies Friendship Walk, the number one walk in the country raising awareness and funds to support individuals with intellectual and developmental disabilities (IDD).